One of the most noticeable restaurant trends in recent years has been the increasing use of large, communal tables. More and more frequently the experience of dining out involves rubbing elbows – literally – with fellow diners. Although communal tables certainly aren’t for everyone, their increasing popularity means that enough people are on board with the trend. Although the trend is new to us, the history of dining at communal tables goes way back. As early as biblical times, inns where travelers rested fed their guests at large communal tables. Only the simplest meals were served, and diners did not have any menu options to choose from. This trend lasted in inns and taverns across Europe until the French Revolution, after which the first iterations of the modern restaurant began to appear. The communal table at Red Farm in NYC. Bon Appétit magazine recommends abiding by the “Airplane Rule”. Acknowledge your neighbors with a friendly smile and a nod, but don’t assume they want to talk to you. People go out to dinner with a certain party for a reason. They can be uncomfortable at first, but maybe communal tables are just what we need to get our faces out of our screens and into the world around us. Perhaps the biggest American contribution to restaurant trends is the franchise. The French model persisted in America (and elsewhere) until the end of WWII, after which chains started popping up across the United States. Some of the first – White Castle and McDonalds – are still around today, and their business model has inspired countless other restaurant franchises. 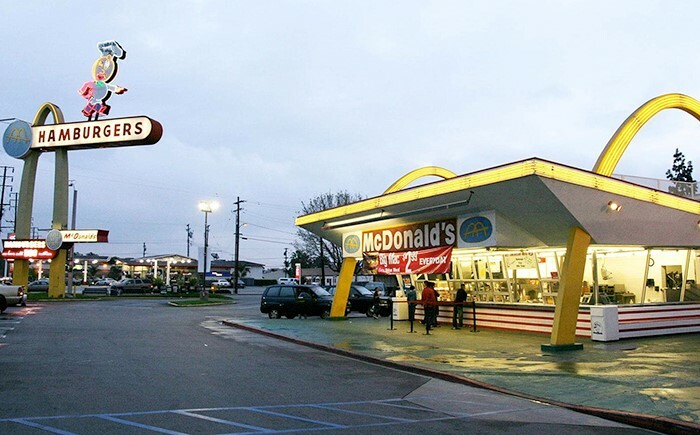 This McDonald’s opened in 1953 in Downey, California, was the third restaurant in the franchise. It is also the oldest McDonald’s in operation today. Although these franchises are known for their take-out fast food, the latter part of the twentieth century in America gave way to casual, family oriented franchises such as Applebee’s and Olive Garden. More recently, restaurants in the United States have been moving away from this model and focusing on using ingredients from the regions in which they are located, with a special emphasis on sustainability and health. 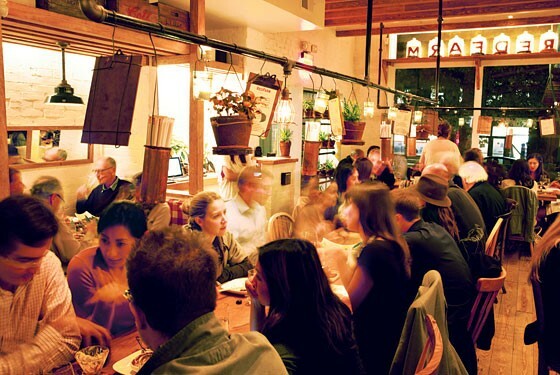 The movement is known as “Farm to table”, and it is gaining popularity at independent restaurants and franchises alike. The movement has been coupled with an increased interest among Americans in all things food and dining, with original documentaries and series about famous chefs being some of Netflix’s most popular original programming. Did you know that not barbecue is the same? Although the basic technique is the same everywhere – cooking the meat for a long time over low, indirect heat – the similarities end there. Across the southern US there are a number of regional approaches, each one claiming to be the best there is. The four most well-known are Texas, Carolina, Memphis and Kansas City. Unlike most other barbecue hubs, in Texas cattle is king. Brisket, the most popular cut, is smoked very slowly in a brick pit. The cut’s high fat content helps prevent the beef from drying out during the lengthy cooking process. 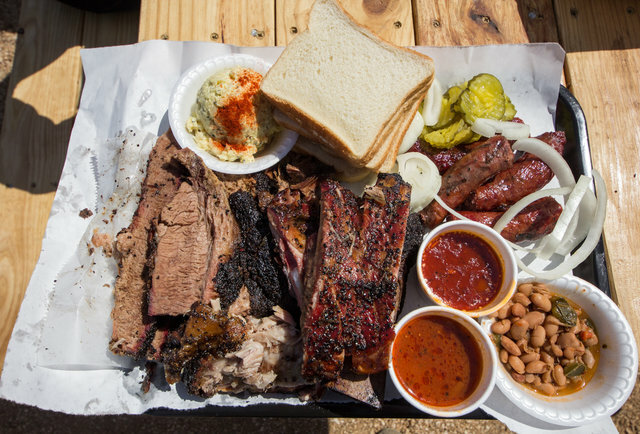 In the eastern part of the state it is common to find barbecue served with hot sauce on a bun, whereas west Texas prides itself on “cowboy barbecue”, which forgoes the sauce and bun and is typically eaten with your fingers. 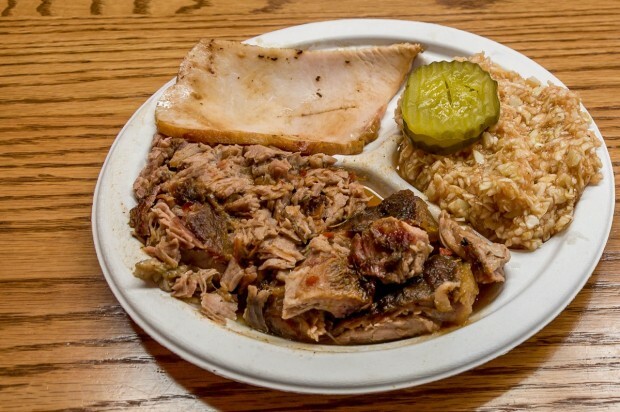 In the Carolinas, barbecue is synonymous with pork. Whether the whole hog gets cooked, like in eastern North Carolina, or just the shoulder and ribs in the western part of the state, you’ll be hard pressed to find any other kind of meat. Barbecue sauces vary widely in North and South Carolina. Some are vinegar based, and others add tomato and brown sugar. The latter is typically used as a dip, rather than put directly on the meat. In South Carolina a mustard-based sauce is popular, a sauce derived from recipes of German immigrants. 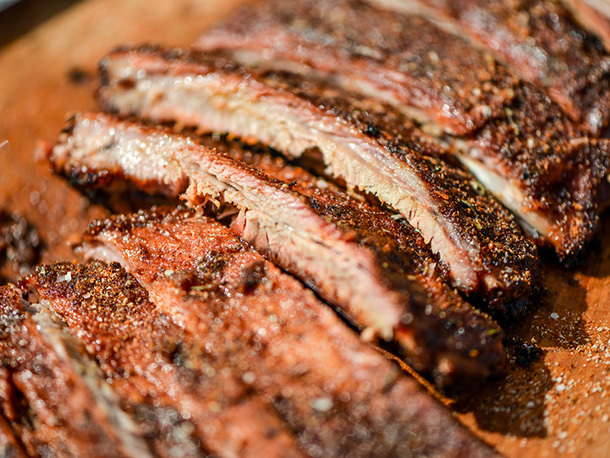 In Tennessee, the go-to cut for barbecue is pork ribs. They’re either served “sticky”, with a tangy barbecue sauce, or dry with a spice rub mix. Each year the Jack Daniel’s distillery hosts a barbecue competition called ‘The Jack’, where contestants compete to make a new sauce using their namesake whisky. Home to over 100 barbecue joints, Kansas City, Missouri is often referred to as the barbecue capital of the world. The barbecue tradition here was started by a Tennessee transplant who brought the barbecue practices he knew and combined them with other regional varieties which he encountered given the city’s location as a major railway hub and meatpacking town. As such, in KC you can find brisket, beef and pork ribs, pulled pork, even sausages and chicken. 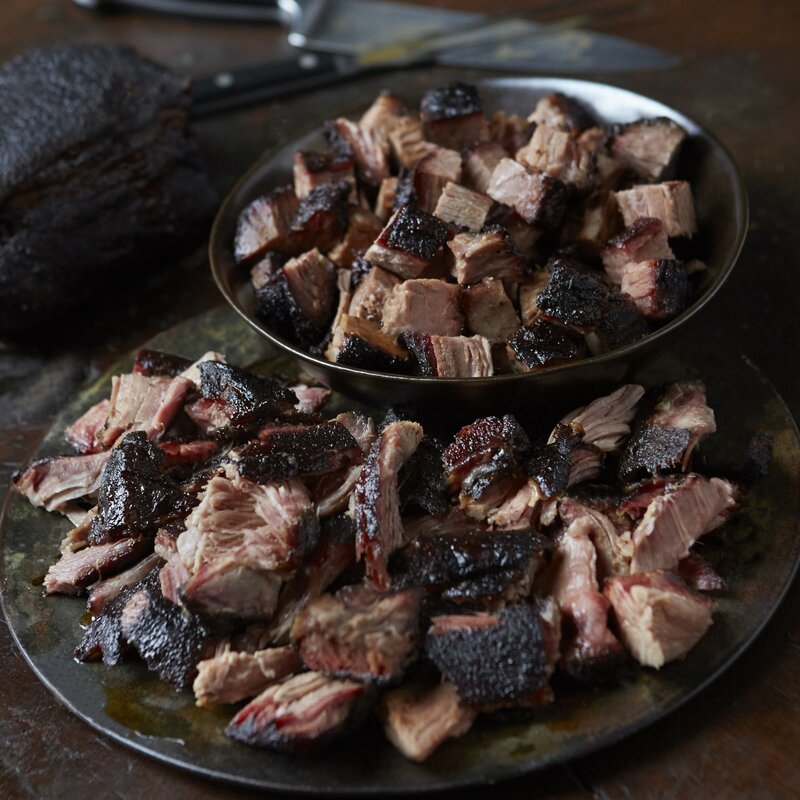 A local favorite is burnt ends, small slices cut from the very ends of a beef or pork brisket. Over the decades, dining out has become a much more casual experience, even at restaurants serving high end cuisine. The culture is today, at least comparatively, less stuffy. Additionally, during the economic crash of the first decade of the 2000s and fewer people were going out to eat, some restaurants relaxed their dress codes in order to keep customers coming through the doors. That said, there are a handful of places left across the US that still adhere to a strict dress code. 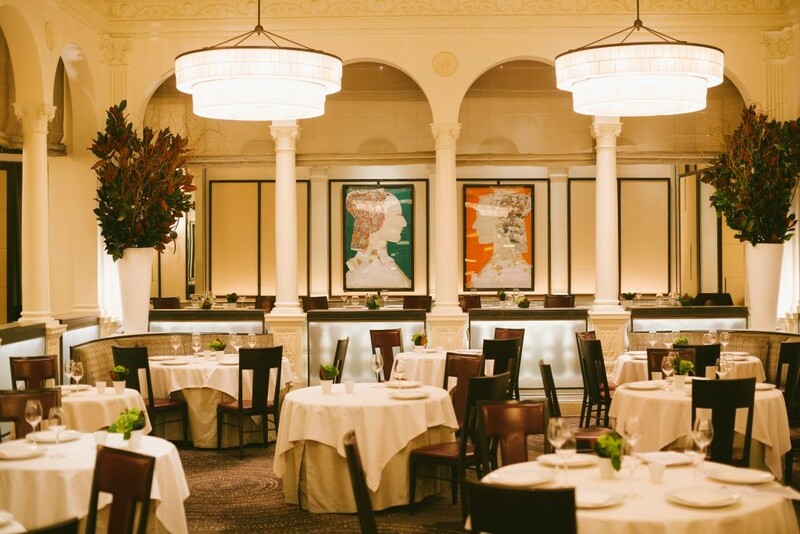 One such restaurant is Daniel, Daniel Boulud’s high end restaurant in New York City. John Winterman, the former maître d’ at Daniel, says “I break it down into self-respect and respect for others,” and notes that he seats the best dressed parties in the center of the dining room for everyone to see. The interior of Daniel, in New York City. Why such an emphasis on dress? The logic, from the point of view of the restaurant staff, is that if they are curating an elegant and refined experience, guests should honor that by dressing accordingly. An experience at a restaurant like this is meant to be a break from the ordinary. Odysseus meets Nausicaa. Michele Desubleo, 1654. Oil on canvas. An important value in the ancient Greek world was xenia – hospitality. There were highly respected social codes to be followed when guests arrived, whether their arrival was planned or not. Homer depicts several such scenes in the Odyssey. 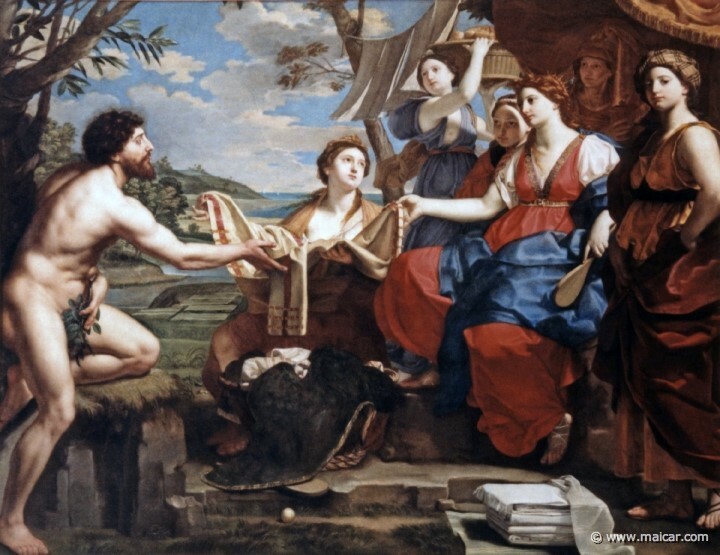 For example, when Odysseus washes up on the shore as Nausicaa, a Phaeacian, is washing clothes, she brings him back to her village where he is bathed, clothed, and fed. In fact, many of Homer’s scenes of xenia involve the guest being bathed and fed before the hosts even ask who they are or where they are headed. Although Odysseus’s journey around the Mediterranean was the first to become famous, journeys like it took place across the European continent from then on. Whether their journeys were about trade, adventure, or finding new lands, people were moving. Later, in Roman times, as the territory expanded, land travel began to increase and travelers needed a place to stay. Out of this need the road side inn was born. These were no-frills places where travelers could find a place to sleep and something to eat, where food was typically served at large common tables to all guests, who did not have a menu from which to choose. 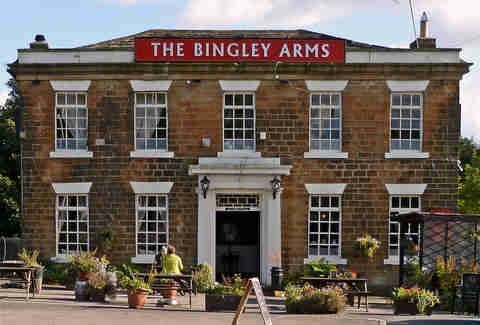 The Bingley Arms, the oldest pub in Britain, was established in North Leeds in 953 AD. Inns in different parts of Europe served different foods, depending on what was locally available. In certain parts of the medieval Islamic world, inns imported European foods and wines to make their visitors feel more at home. Over time, these inns expanded and began to offer a larger variety of things, especially after Columbus’ trip to the New World brought a variety of new produce to Europe. Eventually even people who weren’t travelling began stopping at inns for treats like beer and wine or even coffee, though full meals were still eaten at home. Things persisted like this up until the French Revolution, when royal chefs lost their jobs and needed to come up with a creative new way to do their jobs. Check our next post to find out more! After the French Revolution, the ruling and aristocratic classes were overthrown, and as a result the chefs in their homes found themselves suddenly out of work. They took their culinary skills to a new kind of establishment – the restaurant – the basic model of which is what we know today. The word restaurant comes from a kind of broth served in private homes and at inns that was known for being a restorative dish for people who were tired or sick. Needing a way to restore their careers, these chefs came up with the idea for private tables, rather than the large communal ones found at traditional inns. Additionally, these new restaurants were the first to offer a la carte menus with a variety of choices, as well as a refined and elegant atmosphere not present at inns. The nineteenth century also introduced the world to the café, in which table service is not offered. 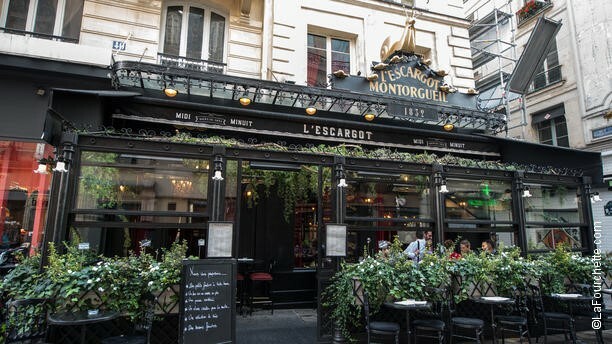 L’Escargot Montorguiel, which has been open for over 200 years, specializes in snails and other treats that are typical of the French region of Burgundy. Travel to Paris increased in the years after the Revolution, and experienced an even larger surge the following century with the defeat of Napoleon and the arrival of new methods of transportation. The restaurant business took off, and visitors to Paris took the concept back to their hometowns. By the twentieth century, you could find these kinds of restaurants across Europe and the United States. In the U.S., although places that today we would call restaurants did exist, the term restaurant itself took longer to cross the Atlantic. Across the nation people used a number of terms, such as “eating house”, “dining room” or “restorator”. Ristorante – The Italian ristorante is the most high-end option available. It is a formal sit-down place, much like what we associate the word restaurant here with in the U.S. The menus are typically extensive, offering appetizers (antipasti) first courses (primi piatti), second courses (secondi), sides (contorni) and desserts (dolci). Go here if you’re looking for something elegant, refined, and are willing to pay the price. 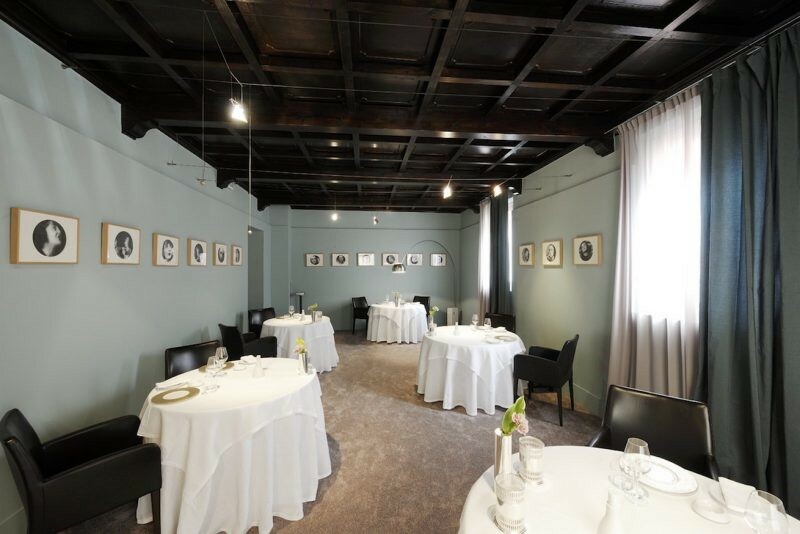 The interior of Osteria Francescana in Modena. The restaurant is the brainchild of world-renown chef Massimo Bottura, and is consistently ranked one of the best restaurants in the world. Trattoria – In Italy, trattorias are similar to ristoranti in that they are sit-down establishments with table service and a menu from which to choose. The difference is that they are much more casual, in both décor and food options. Trattorias typically specialize in local, rustic cooking, similar to what you might eat at home. Osteria – Osterias traditionally were places that focused on serving simple, midday meals to workers on their lunch breaks. There are still osterias in Italy today, but they are harder to find than they used to be. Often featuring communal tables, osterias are places to take a break from a long day over a simple but satisfying meal and a glass of wine. Like trattorias, osterias specialize in local, home cooking. Enoteca – The enoteca is the Italian wine bar. They do offer snacks, though both the menus and the portions tend to be small. The focus is on the wine. Enotecas range in price, depending on the kinds of wine served and the clientele. Many enotecas give special attention to local wines and cheeses. Pizzeria – The pizzeria in Italy, just like in the U.S., is a crowd favorite. Typically pizzerias in Italy are sit-down places, though most offer take-out services as well. The menus are dominated by pizza, and sometimes offer a smaller number of pasta dishes and second courses as well. All the pizzas at these restaurants are personal, and most Italians actually eat them with a fork and knife! 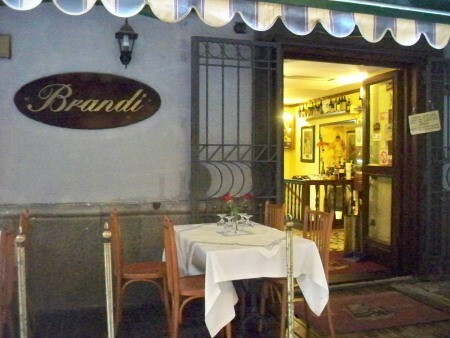 The exterior of Brandi pizzeria in Naples, which opened in the late 1700s and is credited with the invention of the world-famous pizza margherita. In the last couple of years, as all things food related have risen sharply in popularity, the American culinary landscape has seen a number of new trends and food obsessions: farm to table, new “it” vegetables, and avocado everything. There are a number of reasons why these different trends come to be, and a big one is often sustainability and the desire of more and more people to eat not only foods that are good from them, but foods that are made available in a way that is good for the planet. Goat meat is the most widely consumed meat across the globe. It is prepared in a large variety of ways with different ingredients from India to Mexico, throughout the Mediterranean and Middle east, a number of Caribbean islands, and beyond. In the United States, however, it is much less popular. Now, a number of chefs and farmers are trying to make the case for its consumption. According to Shirley Richardson, a farmer in Vermont, “the goat dairy industry generates a significant number of kids (baby goats) each year to keep their mothers producing milk. 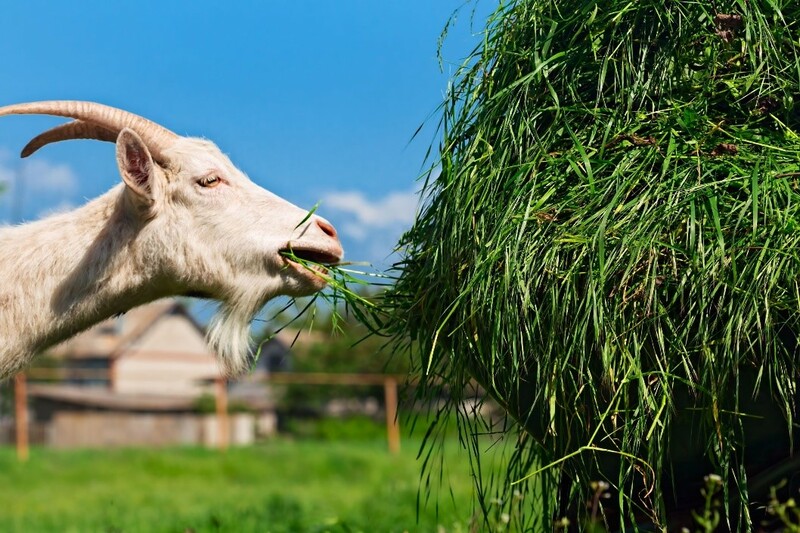 Dairy farms have no need for males and keep only some females, resulting in a lot of extra young goats…Farmers welcomed help figuring out a way to put these surplus animals to productive use in the food chain.” In other words, eating goat meat is good for the food chain and achieving sustainability. It’s also good for you. It has more protein than beef, and less fat than chicken. It is gamier than meats to which we are more accustomed, like lamb, for instance, but that flavor is easily reduced with a number of cooking techniques. It’s popping up in restaurants across the US, such as the goat tacos at Cabrito in New York City, and Underbelly in Houston. So, what do you think? Would you try goat? Make something you’ve made before. Even if you’re an experienced cook and have mastered new recipes on the first attempt before, when feeding others it’s best to play it safe. Classics are always a safe bet: pasta dishes, roasts, chicken, and easy sides like salads, mashed potatoes, and roasted veggies. Even though you’re hosting, you should still be able to participate in the party. In order to do so, cook as much as possible in advance, and supplement with store-bought items. Sides can easily be prepared early and heated up quickly or served at room temperature, and salads can be dressed just before serving. 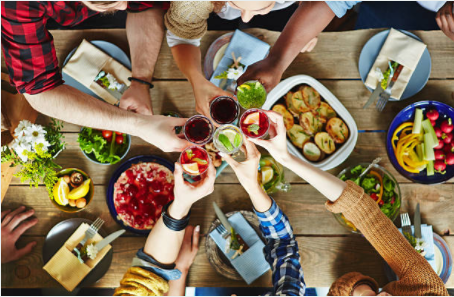 Make sure you’re not working when guests arrive – it’s important to have a before dinner drink together to kick things off. Even though preparing dessert might seem like a hurdle after putting a whole sit down meal together, dessert is a great way to signal a transition from dinner to the more relaxed part of the evening when people are finishing off open bottles of wine and after dinner drinks. If you’re all cooked out, don’t hesitate to buy dessert. You can pick up a cake or pastries from a local bakery, or even prepare a fruit or cheese platter. Even if it’s simple, it should be there. Also, if you have the space, think about serving dessert at the coffee table rather than in the dining room, to enforce the transition in mood. This is your dinner party, so you can make it whatever you want. Do you want it to be an elegant evening or a laid-back get together? Either way, set the tone. Create a playlist that fits the mood or theme you’re going for, and design a tablescape to match it as well. Pick a signature cocktail or two for the beginning of the evening that aligns with your theme to set the tone at the beginning of the night. That said, if the mood changes, go with the flow. If you plan for a fancy evening but your guests are putting their feet up, don’t be upset: their comfort is a compliment to your hospitality. In restaurants across the US, we’re seeing more and more communal tables. Sites like AirBnb and Couchsurfing are offering communal living spaces and social experiences, and in general individuals and companies alike are promoting human connection. 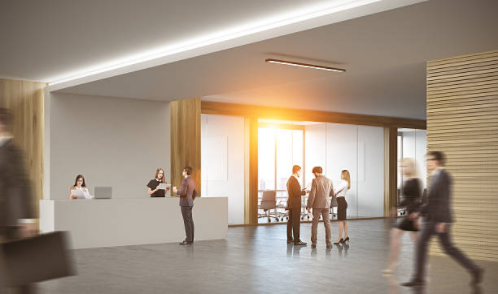 Hotels are picking up on the trend, and as a result are remodeling their lobbies, dining rooms, and other shared spaces to really enforce the idea of shared experiences. We live in a world where everyone owns, and is constantly looking at, a wide number of personal screens. 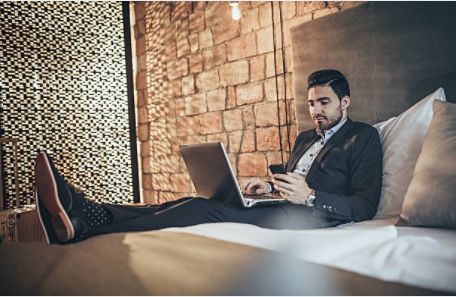 These kinds of technology have become integral to our everyday lives, and hotels are realizing that their guests are expecting to find it in their rooms. Complimentary WiFi alone simply won’t cut it anymore. Millennials are a generation that don’t travel merely to relax, but to learn. Turns out those backpacking trips aren’t just for the Instagram likes! Millennials prioritize learning experiences, engaging with local cultures and traditions, and developing a real understanding of the places they visit. Whether this means hotels will organize excursions like local food or drink tours, or bring locals into the hotels, they’re going to find a way to promote cultural education and more meaningful experiences.